Having seen a strong growth in sales over the past 12 months JD UK have announced new investment in marketing resources and launched the ‘InsuRoll’ Insulated Roller Garage Door brand. As the distributors of Alutech and Deprat components, JD UK has an established nationwide network of approved manufacturers who manufacture roller garage doors. Launching the ‘InsuRoll’ brand brings this national network together under a single brand name for the first time. “For the last 18 months our clients that manufacture roller garage doors for themselves or for the trade have asked for a generic brochure that professionally shows an end user the product they provide. “Apart from just having a free brochure designed and printed, by being part of the JD/Alutech network in the UK, they all receive a number of trade leads each week from companies who are interested in buying Alutech roller garage doors – thus increasing sales for both them and us – no other component supplier is able to offer this level of marketing support”. The Deprat barrel and locking system in combination with Alutech lath, guide and box can be combined to suit any opening or customer specification and offers security, insulation and durability which are on a par with market leading brands. The JD UK business model allows ‘InsuRoll’ doors to be manufactured at highly competitive prices and the business is focussed on maximising efficiency to ensure the continued growth of the brand and of their partner companies. 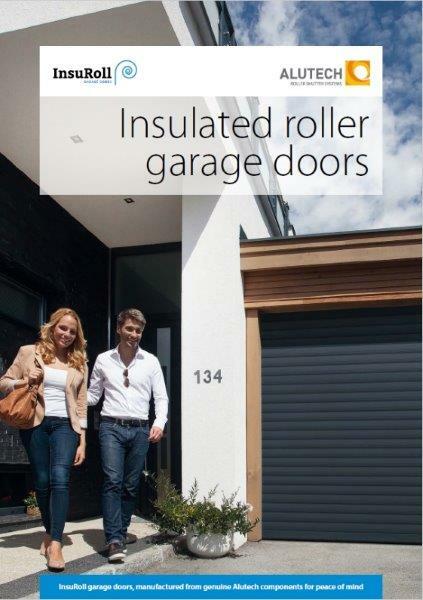 To coincide with the launch of ‘InsuRoll’ JD UK have published a new Insulated Roller Garage Door brochure which showcases the key features and benefits of the system. Existing manufacturers are encouraged to begin using this and it is available to order right now. JD UK encourages garage door specialists with an interest in becoming manufacturers to get in touch. The first stage of becoming an approved manufacturer is an assessment of the viability of the proposed business model. If approved, new manufacturers are offered full training and technical support allowing them to hit the ground running. Others interested in promoting the ‘InsuRoll’ Roller Garage Door should contact JD UK on 01924 472924 or email Louis@jdukltd.co.uk to be referred to their local approved manufacturer, a network which covers the whole of the UK.